ANCHORAGE, Ala. - Two people have been arrested following a deadly shooting at an apartment complex in Alaska, reports CBS affiliate KTVA. Jerel Williams, 26, is charged with first-degree murder, first-degree robbery and two counts of second-degree murder in the death of 22-year-old Christopher Fulton, Jr. in Anchorage on Thursday, according to the station. The Anchorage Police Department said 23-year-old Samantha Herbert was also charged with second-degree murder in the case. Both suspects were arrested on Saturday, reports Alaska Dispatch News. Charging documents state they were picked up by Wasilla police and transferred to the APD for questioning. 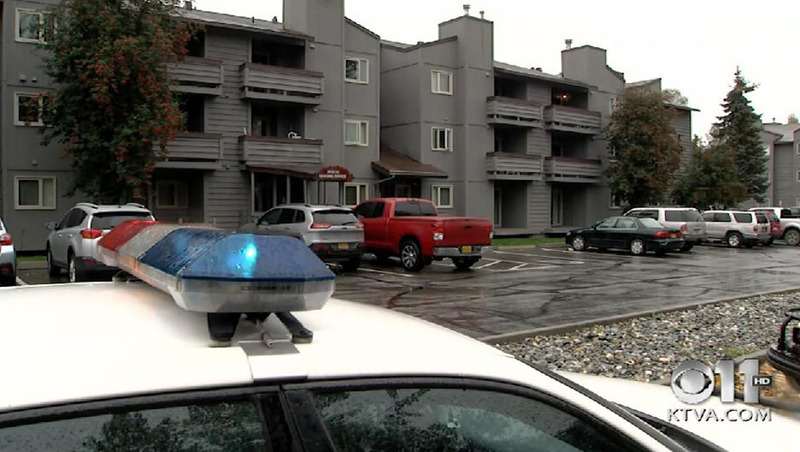 Authorities responded to a call that a male had been shot at the Russian Jack apartment complex just after 2 p.m. Thursday, KTVA reports. Police said at least four people were in the apartment when the shooting occurred. Police said there was an altercation that occurred in the apartment prior to the shooting, and that it escalated from a verbal conflict to a physical one. Then it turned deadly. "It sounds like, at this point in time, all of the associated parties knew each other," said APD spokeswoman Jennifer Castro. She said police were not sure whether drugs or alcohol played a factor in the shooting. The suspects reportedly fled from the scene. A female witness who was in the apartment at the time and knew the assailants told investigators that she only knew Williams as "Da Rick" or "Derrick" and didn't know Herbert's last name, according to court documents obtained by the Dispatch News. However, the witness said she knew where Herbert lived, and they had all purchased heroin from or sold heroin to each other. The witness told investigators Herbert and Williams - who was allegedly armed with a gun - went into the apartment's bedroom before she heard "a loud 'bang.'" She claimed the two attackers stole cellphones and about $40 from a small safe, and that she had been hit in the head. KTVA reports the investigation is ongoing. Detectives in APD's homicide unit are seeking additional information.